Established in the city of Miami, Florida, known for its diverse culture and striking personalities, Jacuzzi Fuzz is a product of its environment – a mix of latin roots, hip hop beats, reggae riddims and hot-tempered punk rockers. The Fuzz started in 2002 as a humble-three piece band heavily influenced by the sounds of Sublime, Nirvana and Bob Marley and the Wailers. They wanted to make noise and shake up the scene – youths eager to play gigs and have their voices heard. Their then line-up included founding members Andy Clavijo, on vocals and guitar, Johnny Colorado, on drums and percussion, and Charlie Labarca on bass. Together, they played anywhere that would take them – from local house parties to larger venues that started to take notice. In 2008, they released their first EP Mourning Miami and 2009, the Best Worst-Case Scenario. The trio eventually parted ways, but after a five-year hiatus, Andy and Johnny regrouped bringing in two new members: Martin Manzanarez on bass and Julian Roots on keyboards and rhythm guitar. In December 2016, the band released two new singles, “In Orbit” and “Hoverboard,” which will be featured in an upcoming EP to be released in 2017.  Jacuzzi Fuzz has had the pleasure of sharing the stage with: Authority Zero, The Expendables, State Radio, The Slackers, The Supervillains, Big D and the Kids Table, Whole Wheat Bread and others.